Latonya M. Speight is raising money to pay for uninsured medical expenses associated with her kidney transplant. Michelle lives in Garner, N.C. and is being treated at UNC Hospitals in Chapel Hill, N.C. and Carolinas Medical Center Transplant Center in Charlotte, N.C.
Michelle has chosen to fundraise with HelpHOPELive in part because HelpHOPELive provides both tax-deductibility and fiscal accountability to her contributors. Contributors can be sure that funds contributed will be used only to pay or reimburse medically-related expenses. To make a contribution to LaTonya’s fundraising campaign, click the “Contribute Now” button. To email this page directly to others in your community, who might wish to learn about LaTonya’s campaign, click the email button and type in as many email addresses as you wish. I hope you will feel that every dollar counts because they do. No matter how big or small the donation it will be gladly appreciated. Hey Michelle, Cousin Reggie and I will keep you in our prayers. michelle, GOD is still in control. keep the faith,GOD will never leave you.GOD is still in the healing business. chelle, this too shall.keep the faith,GOD will never leave you.GOD is still in the healing business. Hi Michelle, Miss seeing you at your moms house! She watched Nicole the other day for us. We just love her. I know that God has plans for you! Be patient. Hang in there. Michelle, the Lord will make away. HI,Latonya, love,you miss you when are we going real shopping smile. My Michelle, we love you and you are in our prayers. Jesus is the healer and you are his child. God Loves you, and we love you. Hello my cousin... God is good and he will see us thru all things if we just believe. Keep the faith and God speed. We love you! Michelle hang on in there. Michelle, remember that your Grandmother Doris loved you and was concerned about you getting a transplant. Michelle, you are special to me and i love you. 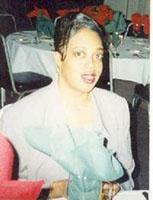 Michelle,love is measured by what it gets,but by what it cost.God will see you through.Aunt Brenda luv u. Hang on in there girl.You are so strong. It's going to be alright Michelle. GOD will see that you get what you need.